The Philippine Institute for Volcanology and Seismology raised the alert level for the Mayon volcano after it "noticeably increased its unrest." Thousands of people in the Philippines have been forced to evacuate as the country's most active volcano threatens to erupt. There are five alert levels for the country's volcanoes, ranging from no alert at level zero to an ongoing hazardous eruption at level 5. 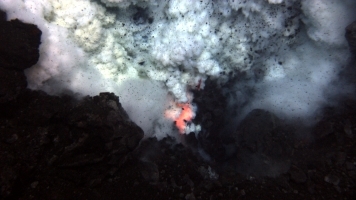 The agency observed steam eruptions, dozens of rockfall events and a bright crater glow coming from the volcano in recent days. And authorities say a dangerous eruption is possible "within weeks or even days." A volcanologist with the institute told CNN it will send two teams to the volcano to check the intensity of its activity.